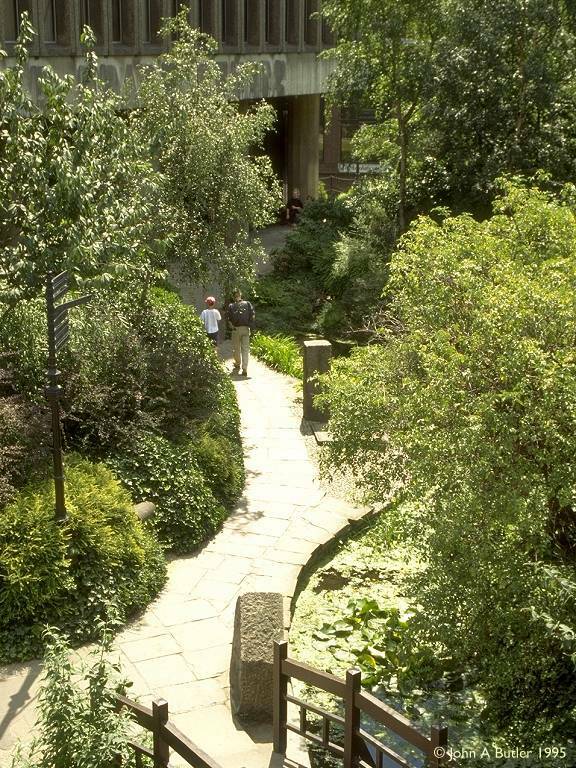 This 25-acre site immediately eastwards of the Tower of London was originally St Katharine's Hospital, established in 1148. 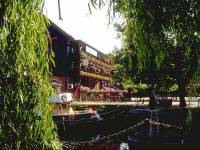 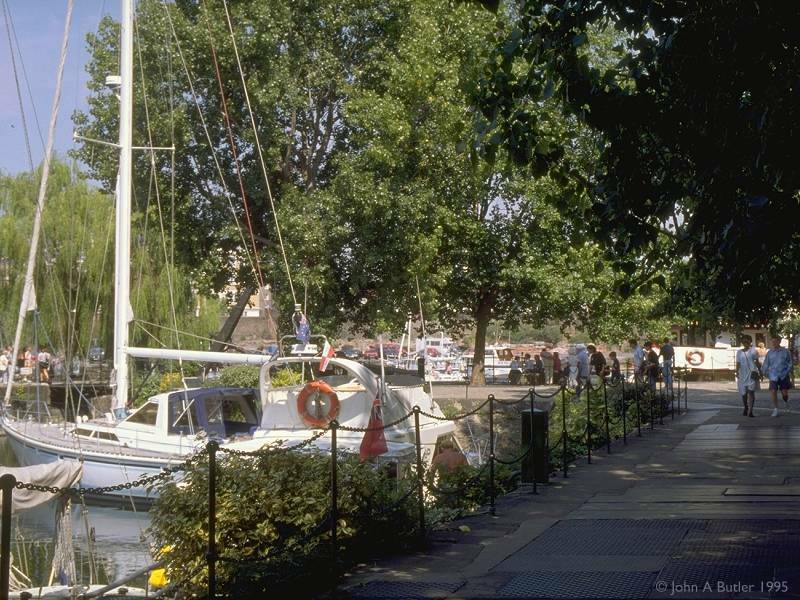 At various times over the next six hundred years the site also hosted a school, private housing and a small-scale dock built around a tidal inlet. 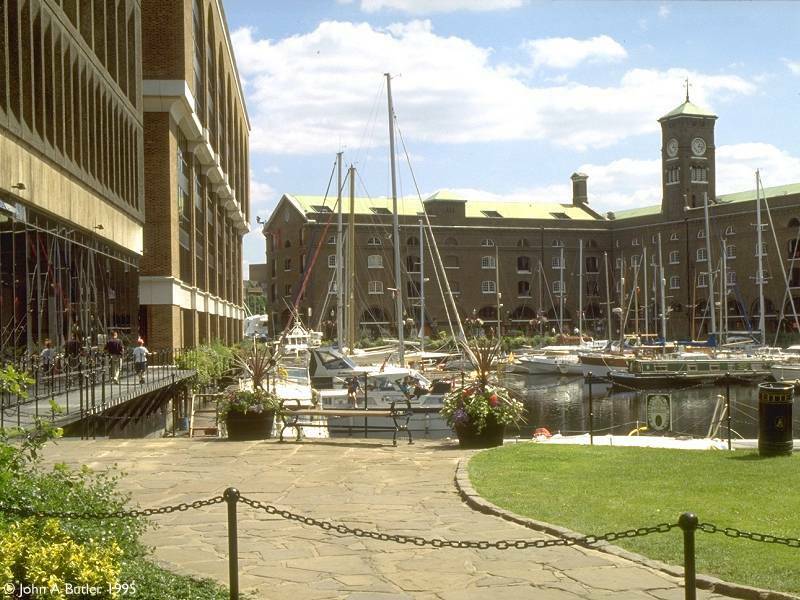 A new commercial dock on the site was authorised by Act of Parliament in 1825, part of the process of expanding London's trading capacity. 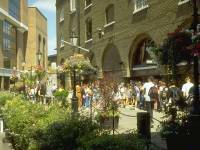 Eleven thousand people were displaced as well as several institutions including the hospital. 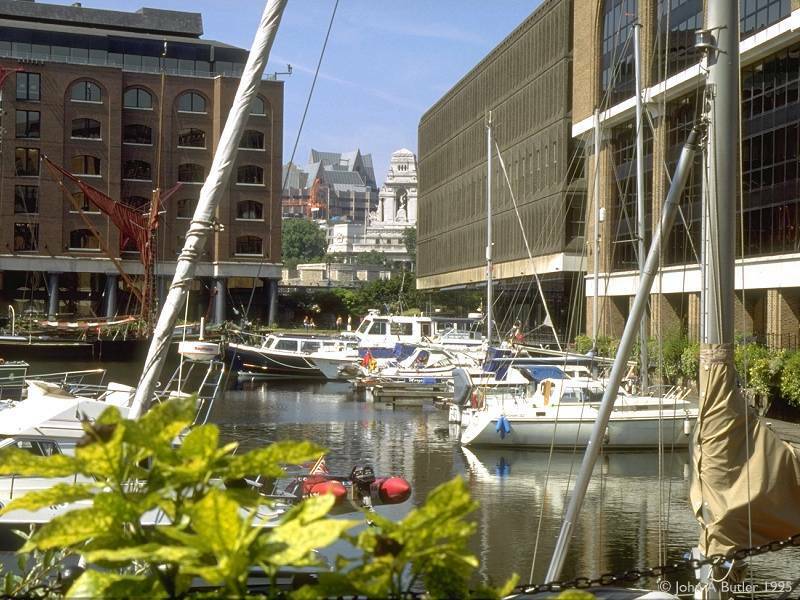 The dock was constructed by Thomas Telford and the works took just 18 months. It opened in October 1828 and subsequently handled tea, sugar, wool, rubber, and exotic, high-value goods such as feathers, ivory and shells. The dock consited of three basins, with a single opening into the Thames about four hundred yards east of the Tower. 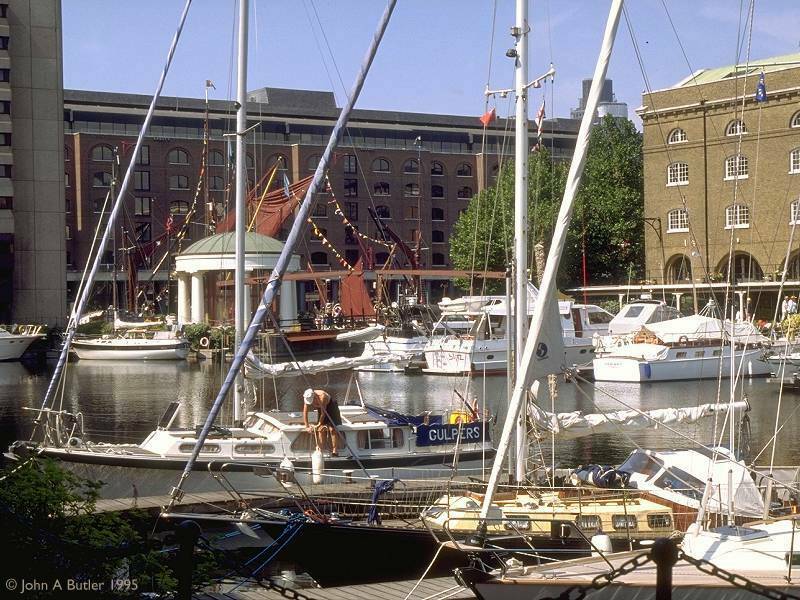 In its day St Katharines was one of London's busiest and most successful dock facilities but, like all the London docks, it began to lose trade as cargo ships increased in size and could no longer be accommodated. 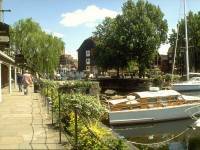 It also suffered extensive damage during the second world war, from which it never really recovered. 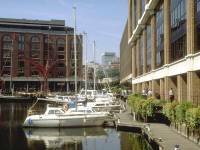 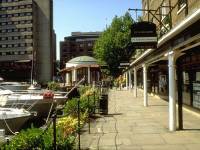 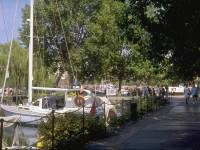 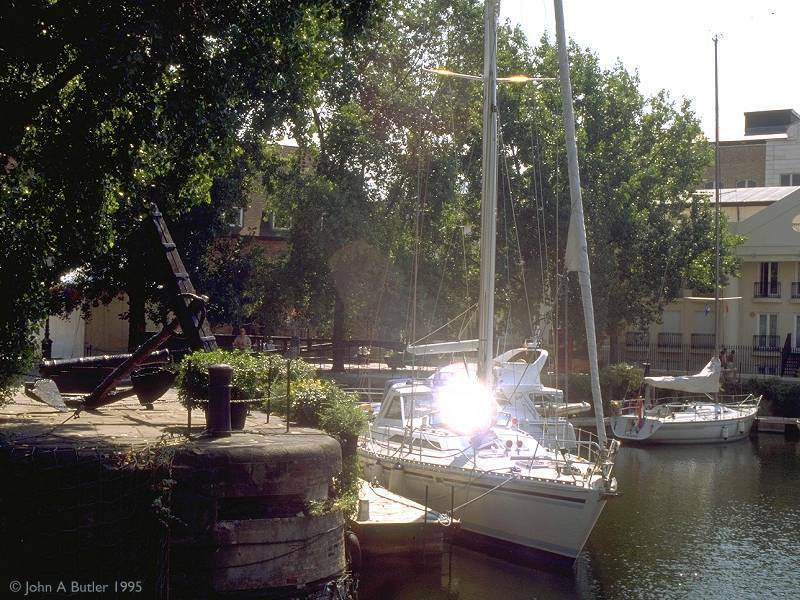 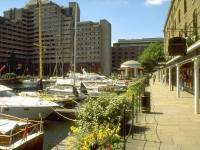 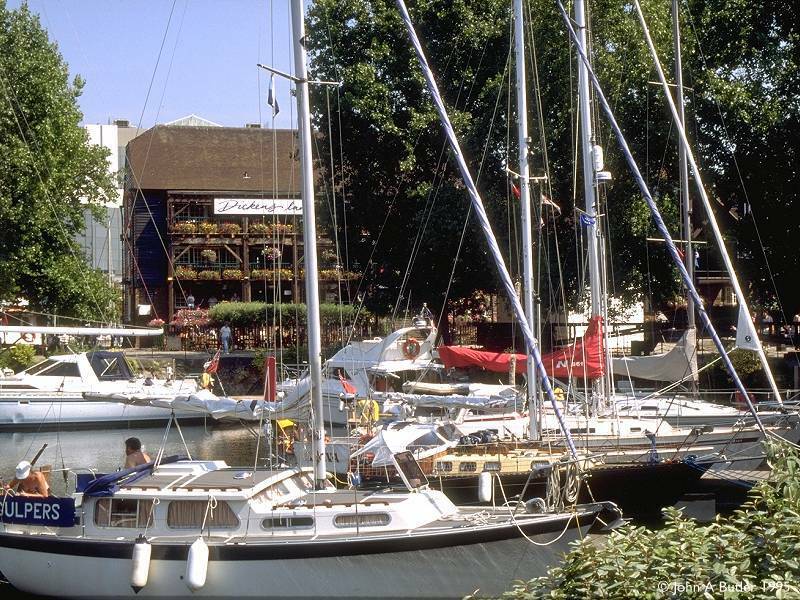 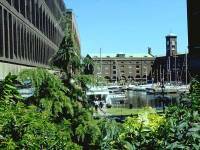 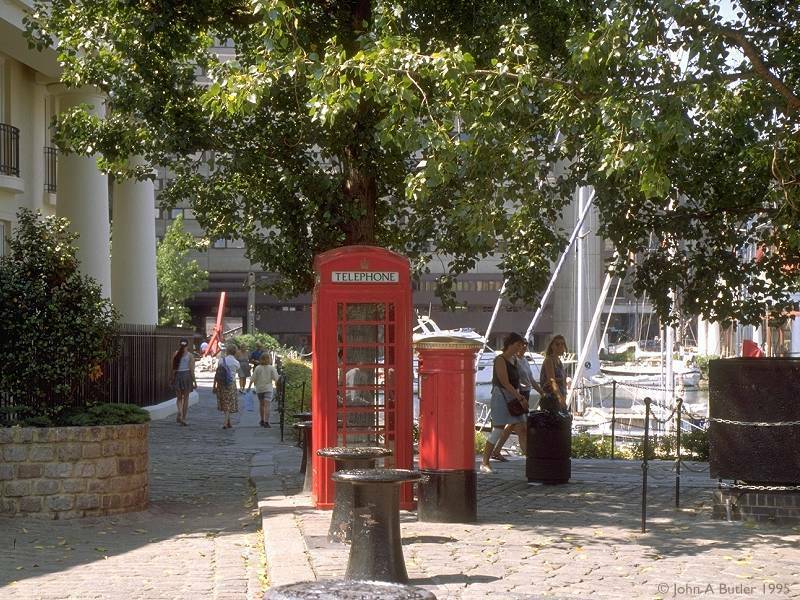 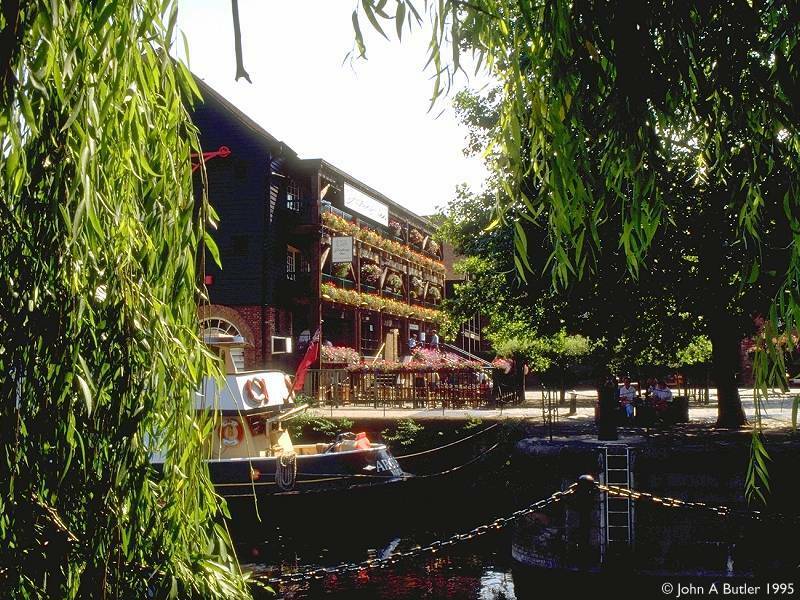 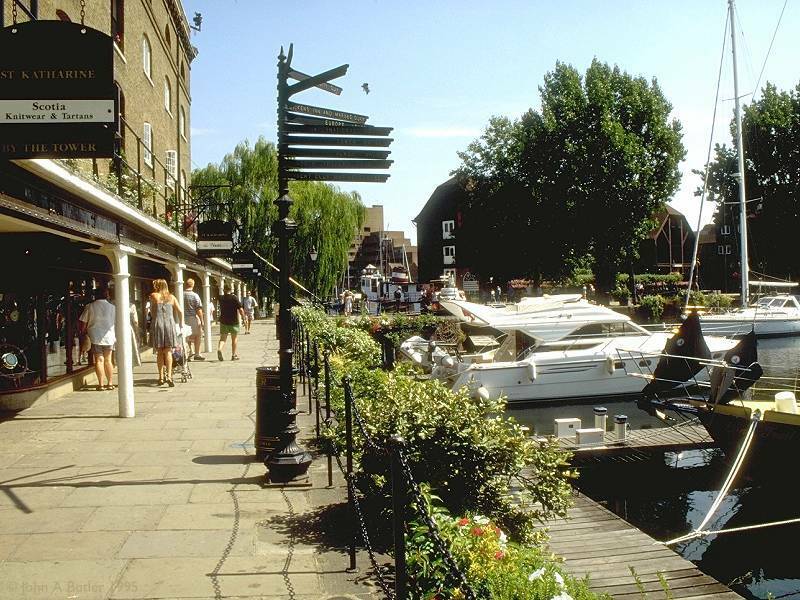 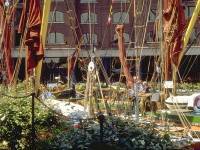 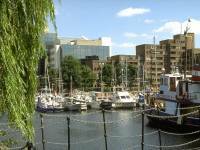 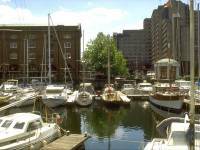 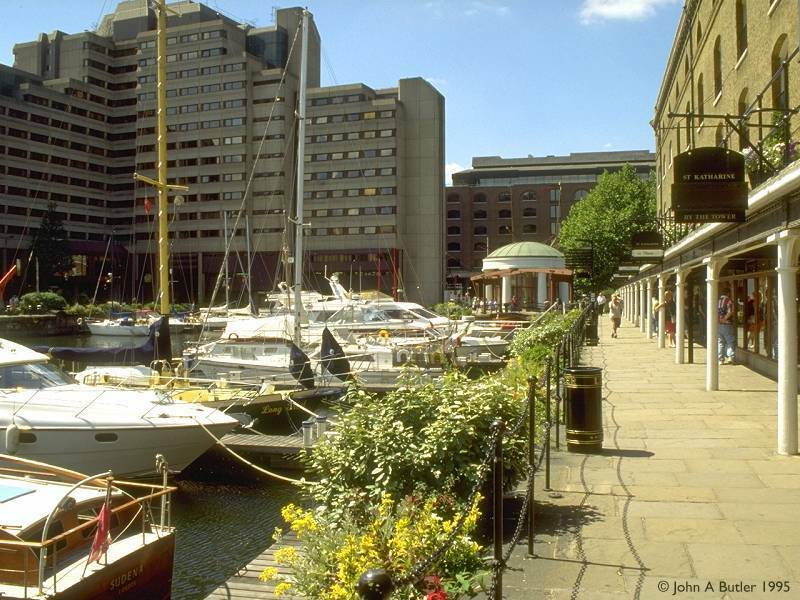 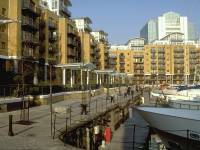 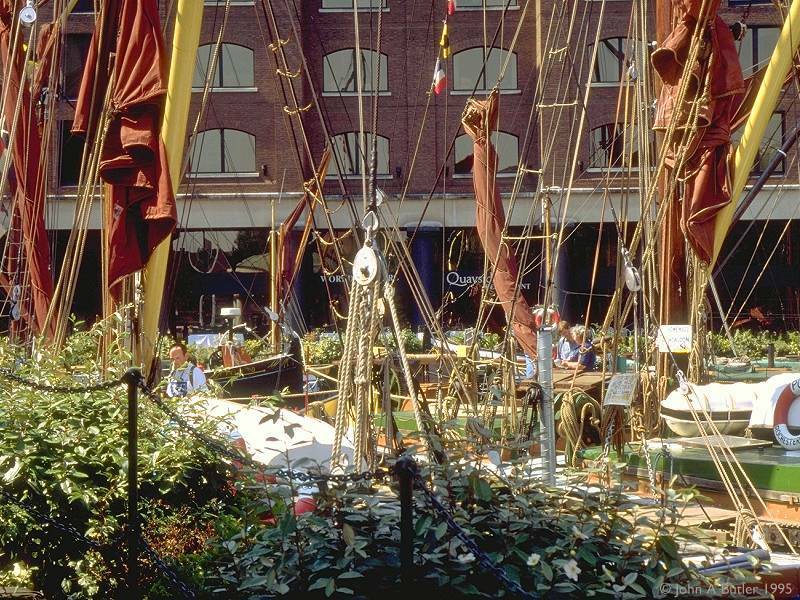 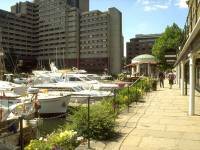 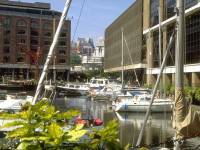 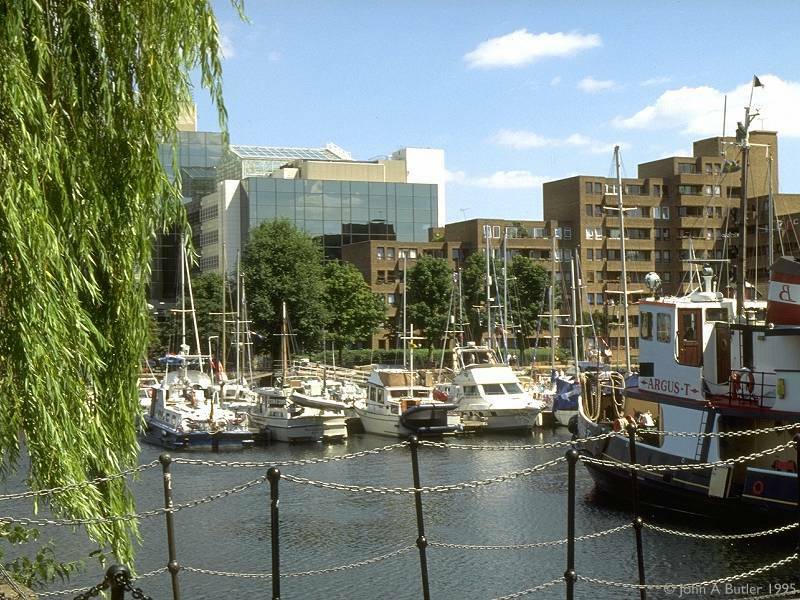 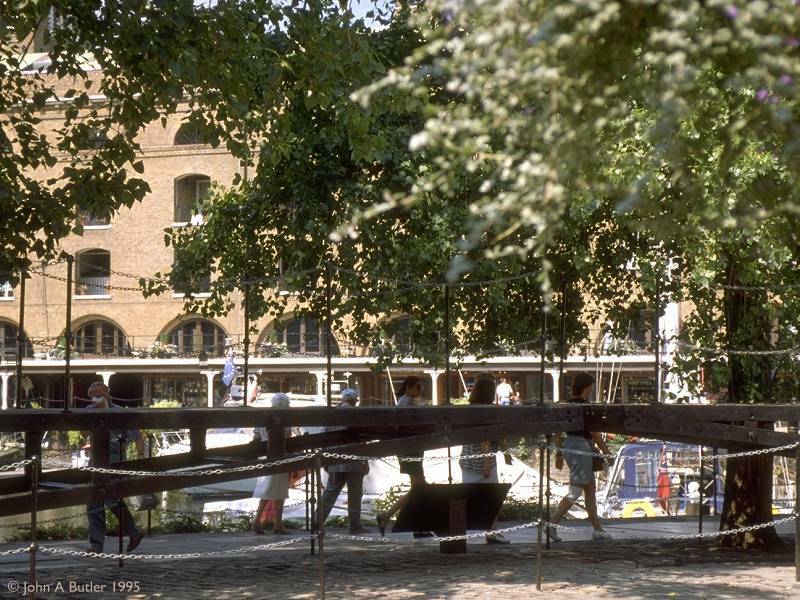 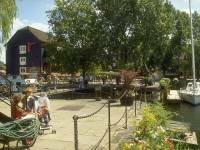 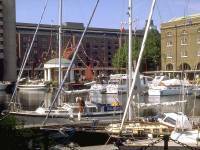 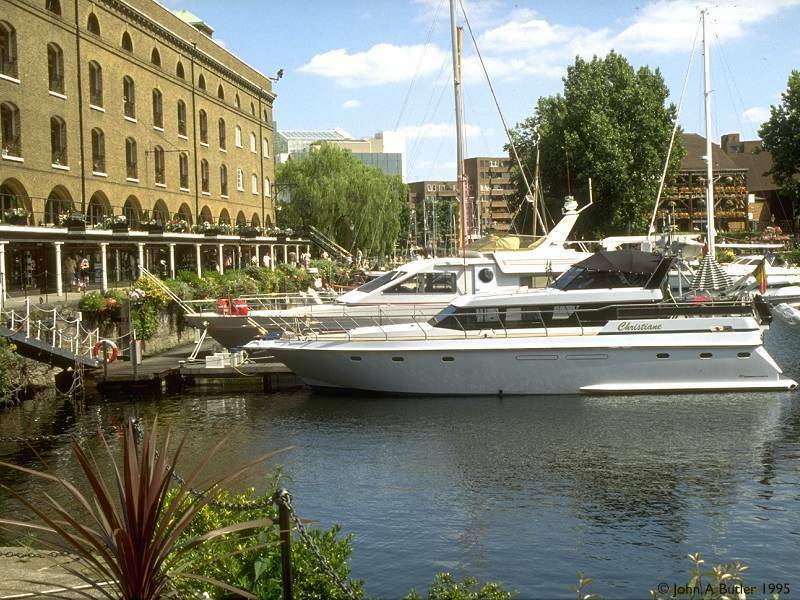 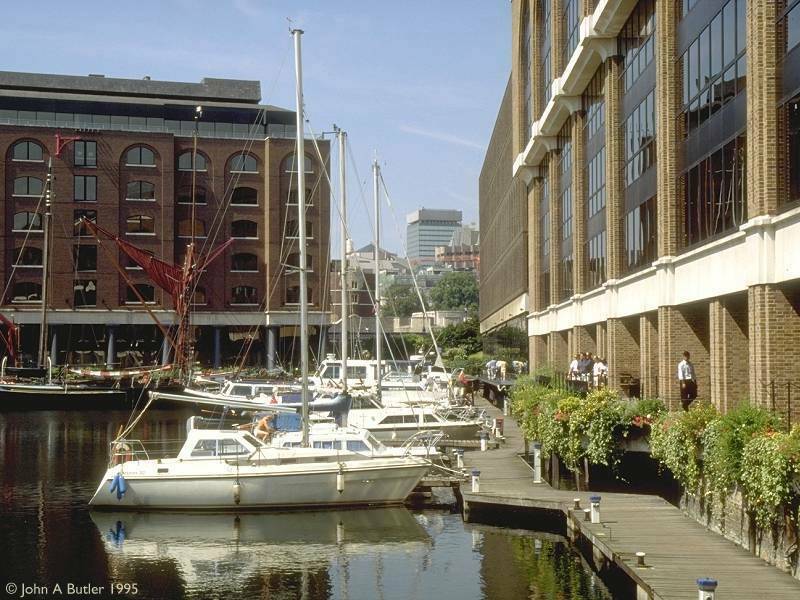 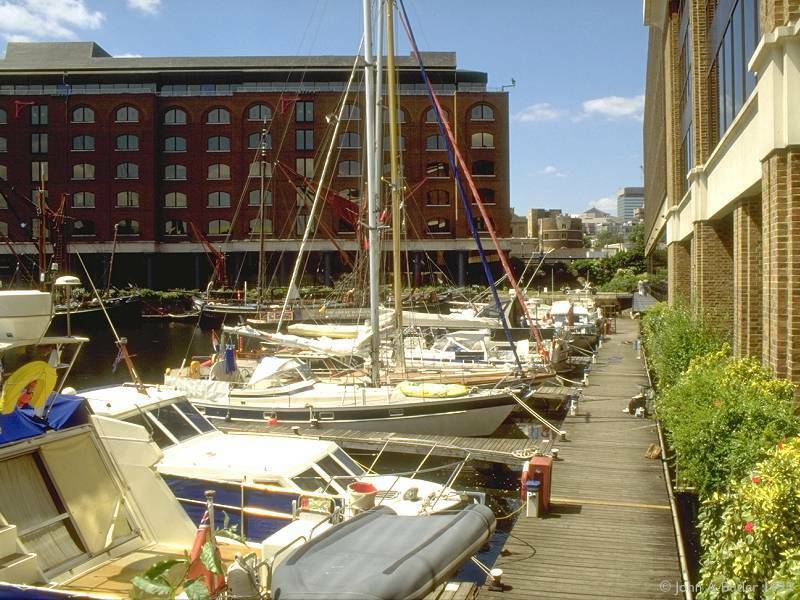 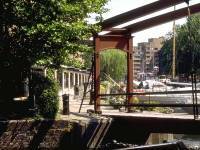 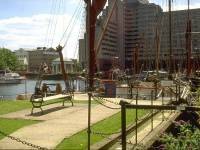 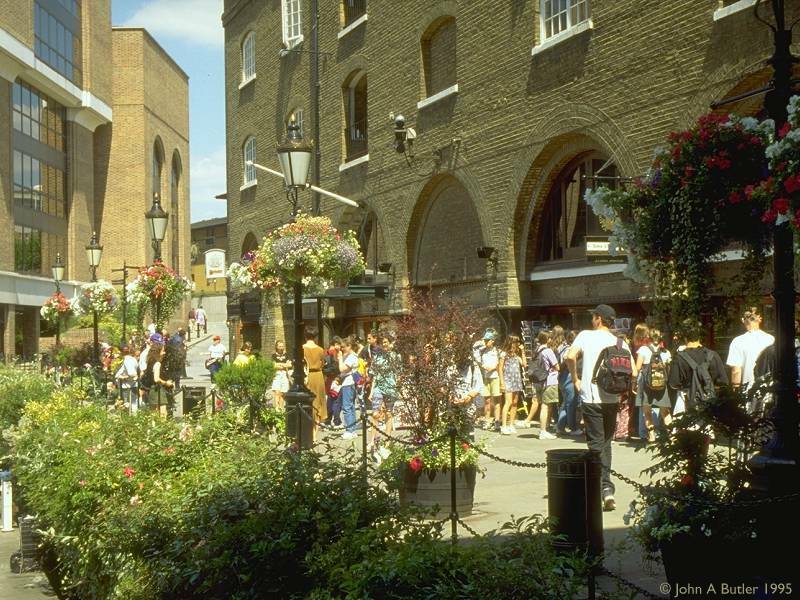 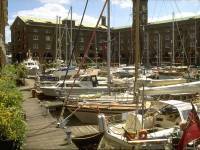 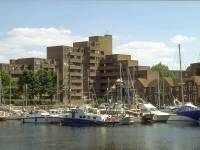 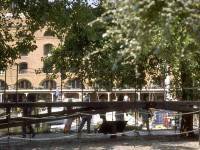 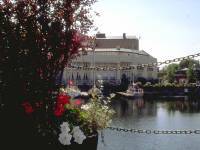 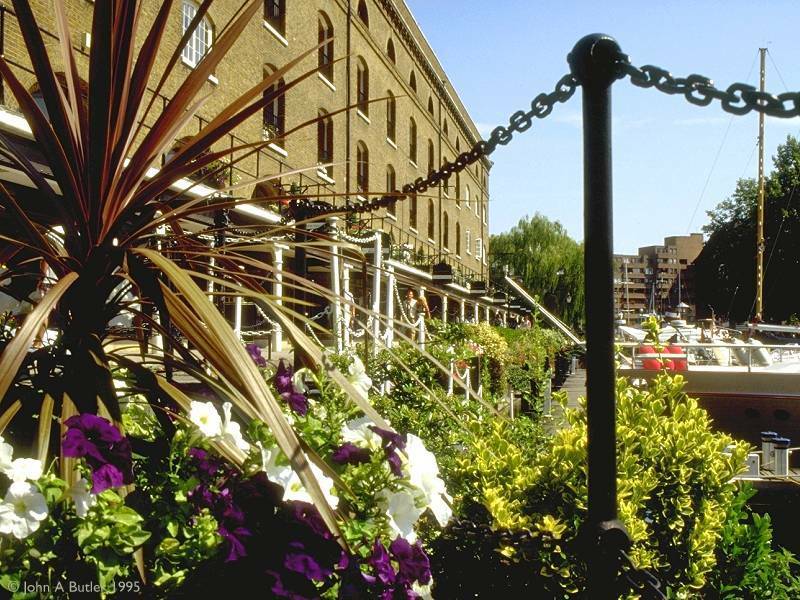 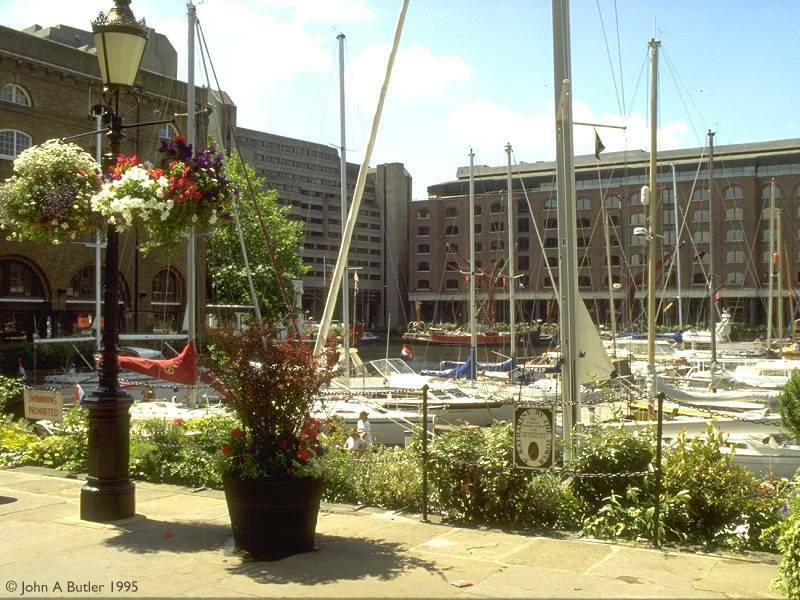 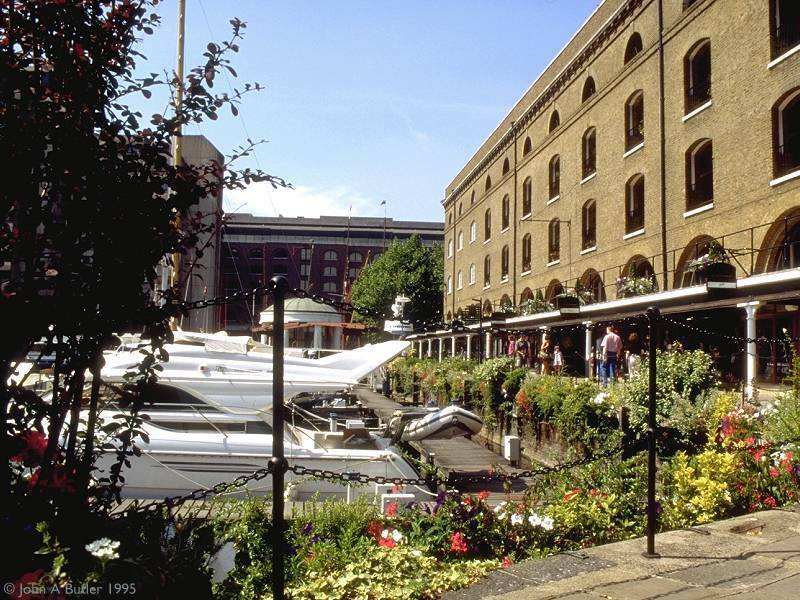 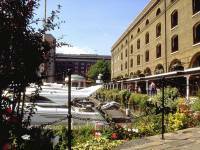 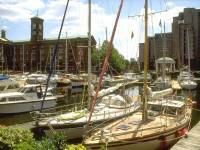 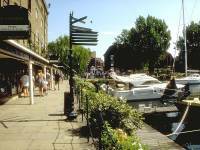 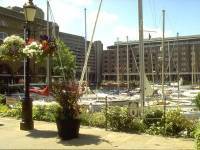 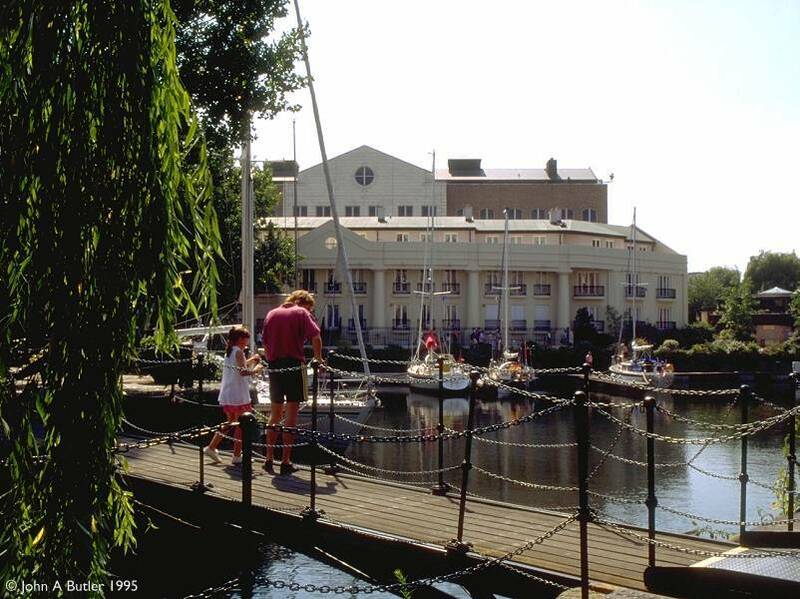 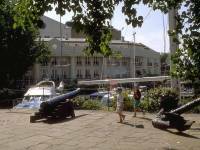 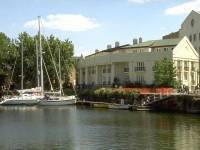 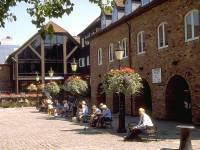 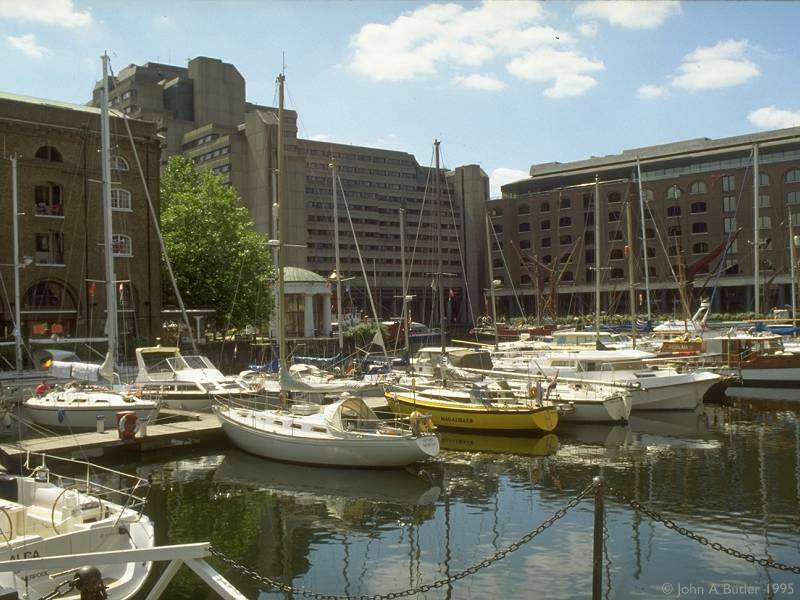 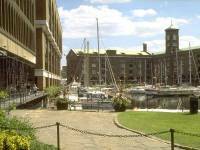 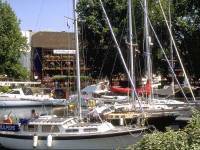 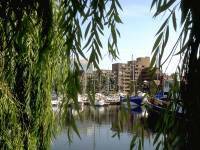 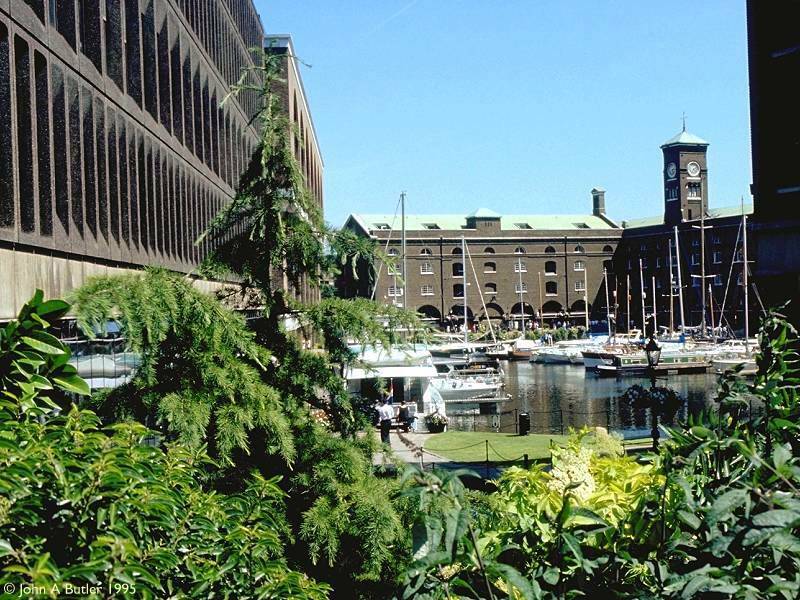 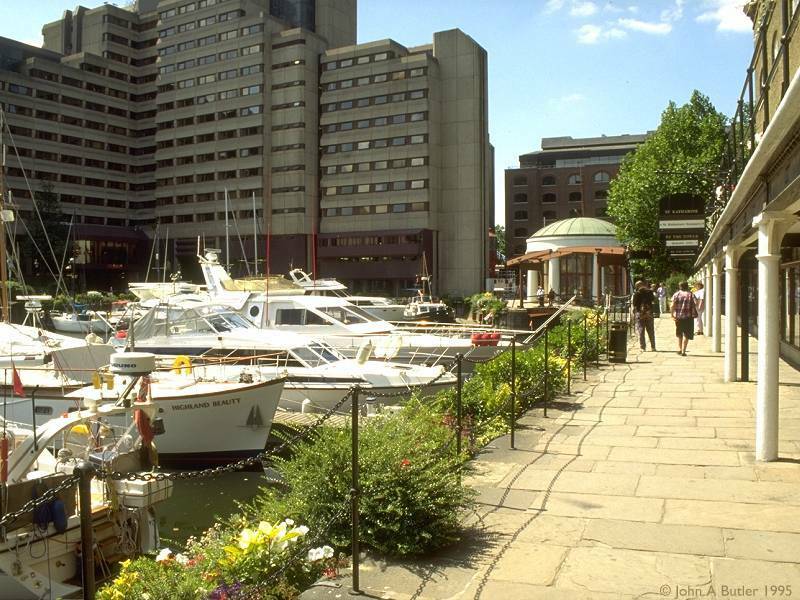 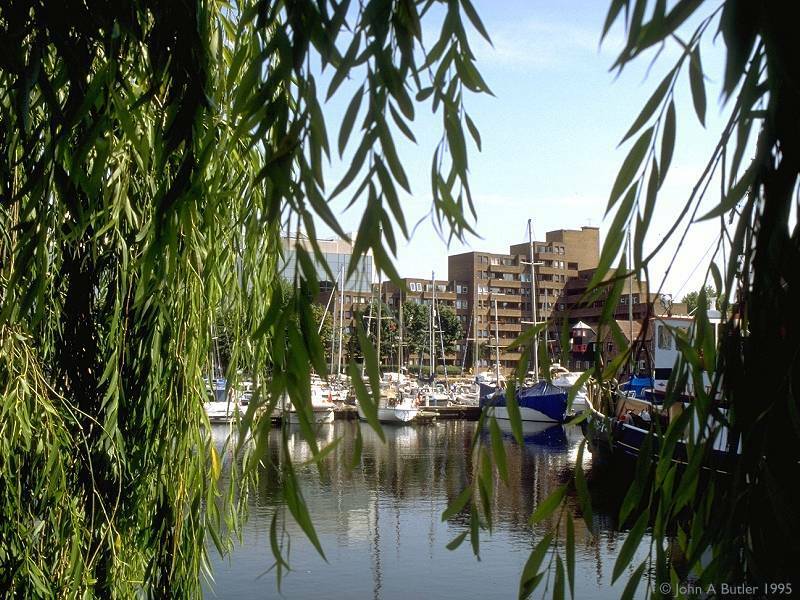 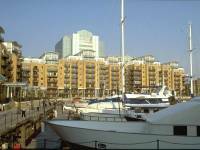 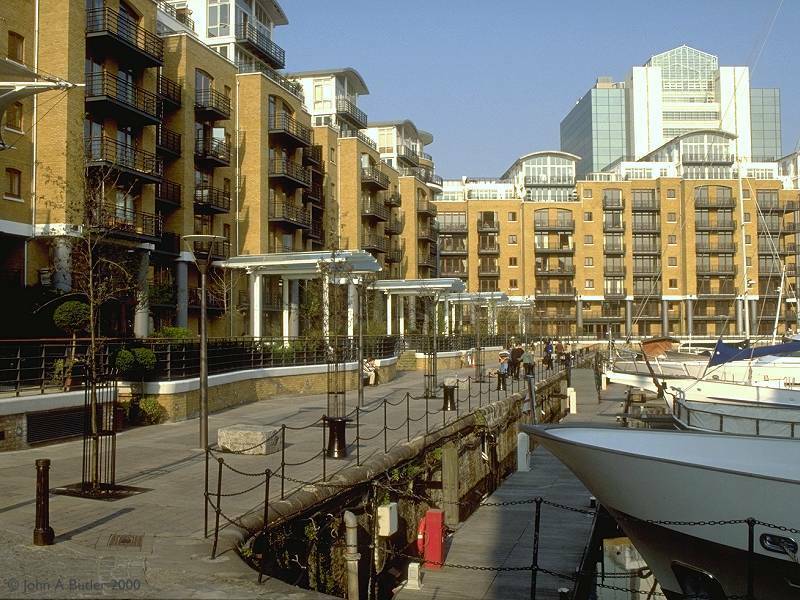 The commercial life of St Katharine's Dock ended in 1968, and a plan for its redevelopment was launched as early as 1969. 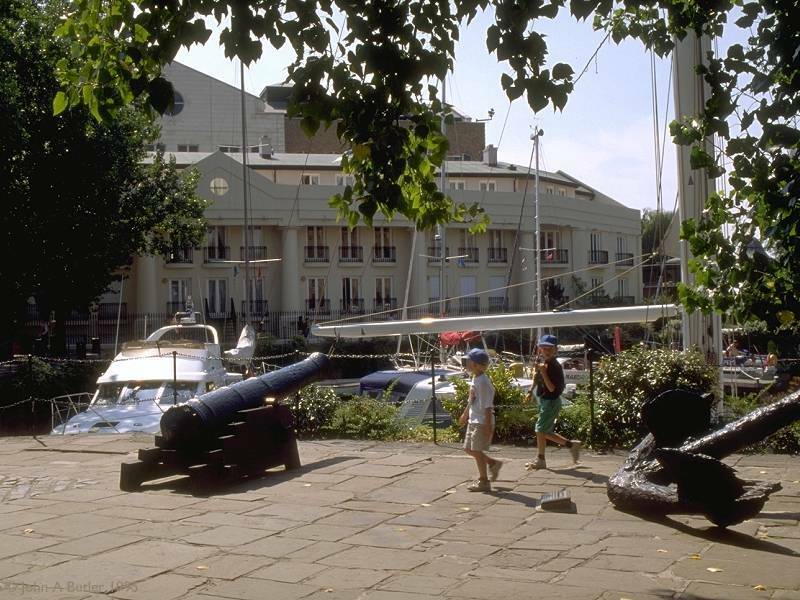 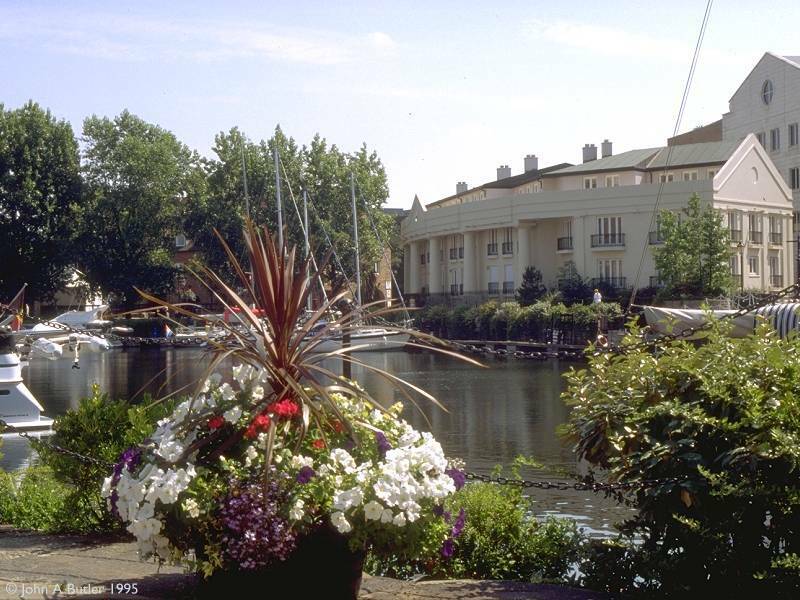 The redevelopment was substantially complete by the mid 1980's when the first running of the London Marathon was routed through the complex and it first really came to public attention. 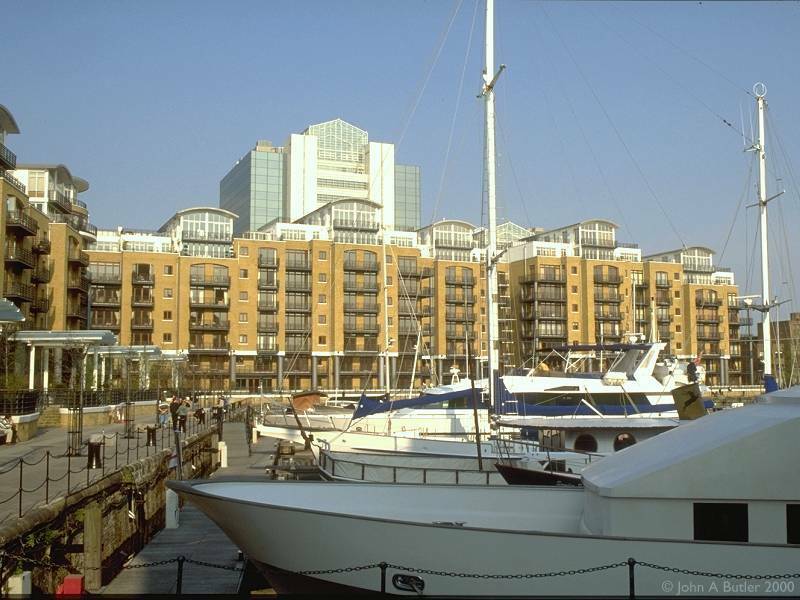 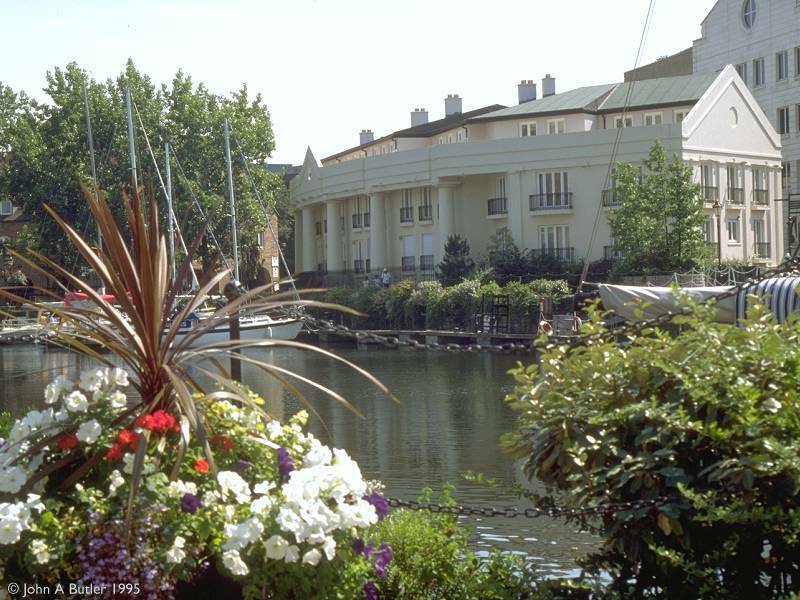 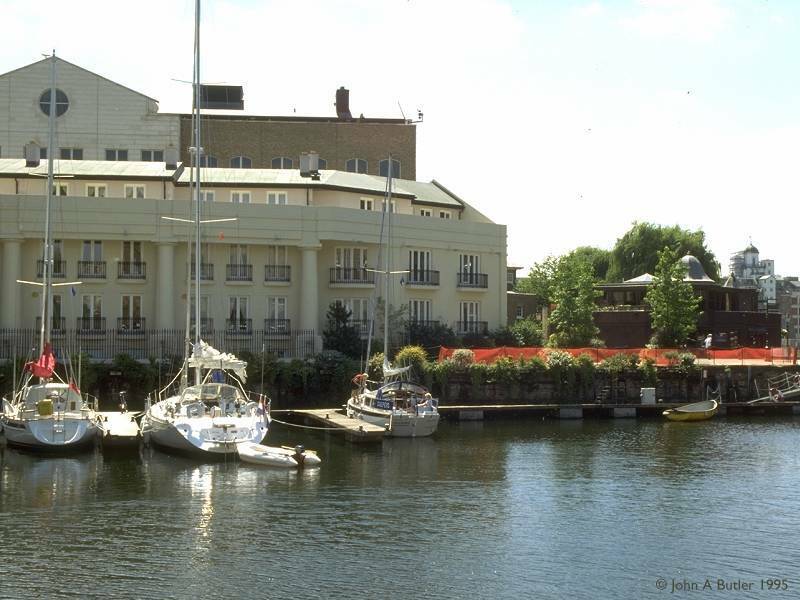 The finishing touches occured only within the last handful of years, however, with the completion of luxury apartment blocks around the east dock. 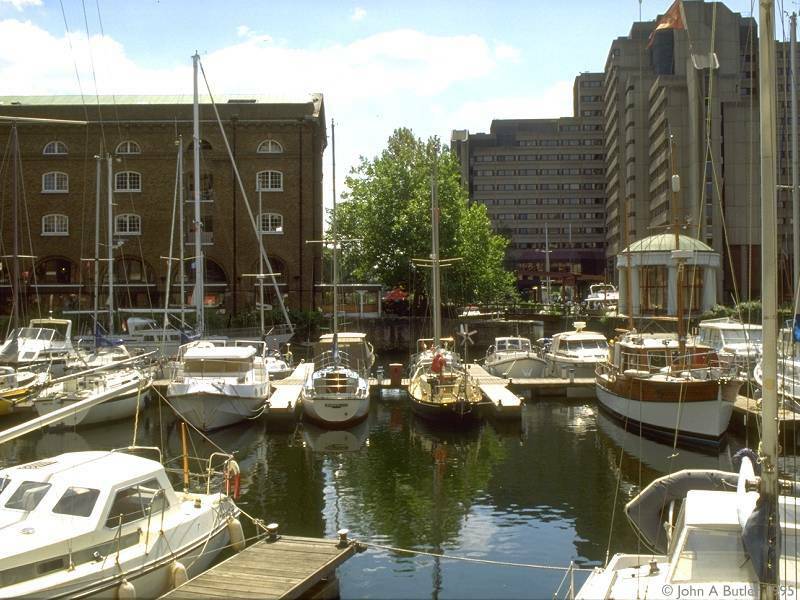 The basins have been retained, but the wharves and warehouses have been swept away to be replaced by offices, apartments and shops. 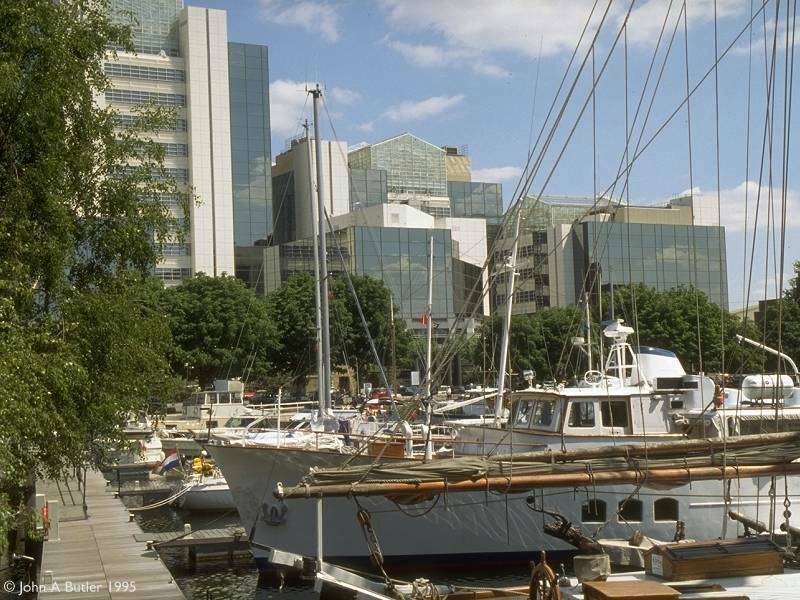 Among the developments are the World Trade Centre and the Tower Thistle Hotel (the latter building pretty much an eyesore, unfortunately), as well as a number of extremely desirable (and extremely expensive) waterfront apartments. 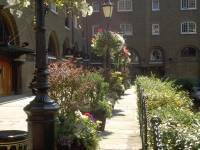 There are cafes and restaurants here too, including the Dickens Inn, a reconstruction of the galleried style of yesteryear. 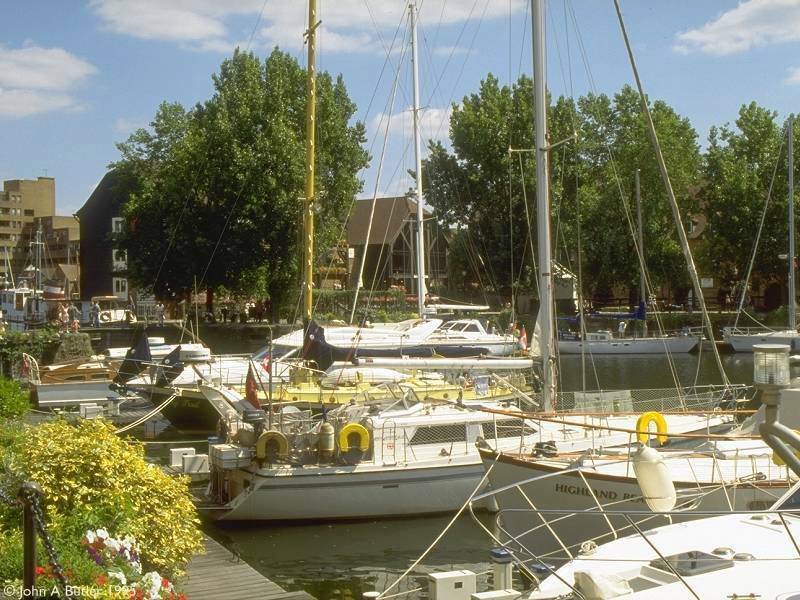 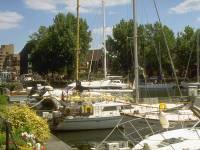 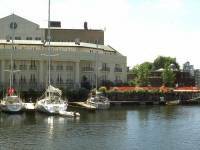 The old dock basins themselves have been reborn as a marina for pleasure craft and the whole complex farly throbs with activity and visual interest.